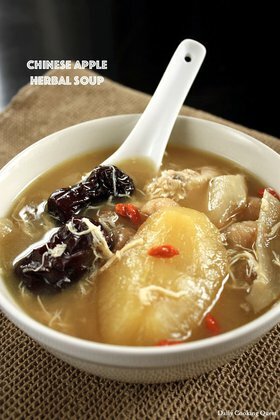 Delicious and healthy Chinese chicken soup with snow fungus, ginseng, red dates, lotus seeds, and bean curd sticks. Snow fungus (Chinese: 白木耳) is commonly used in Chinese dishes and prized for its gelatinous texture once cooked. This fungus is rich in antioxidant and supposed to help skin to stay youthful, so you can imagine this is a popular ingredient for the ladies. 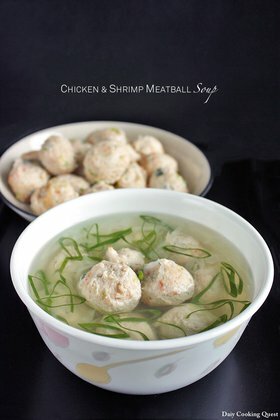 :) Whether the last part is proven or not, I do love the texture of the cooked fungus, especially in soup, be it savory like this recipe, or in sweet version such as longan and snow fungus sweet soup. 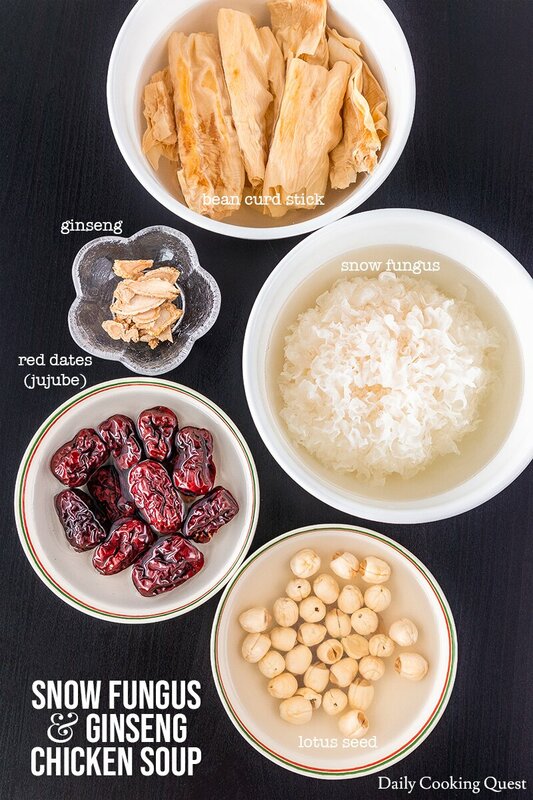 You will need to separately rehydrate all these ingredients in cold water, except ginseng. I usually do this right before I go to bed, and they will fully rehydrate the next day when I prepare the soup. 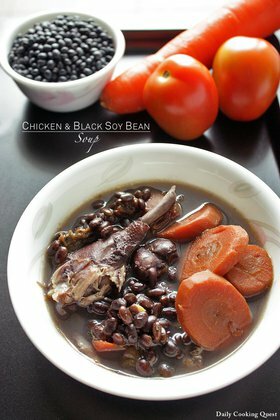 When I prepare Chinese herbal soup such as this, I prefer using one whole young free-range chicken. We call this kind of chicken ayam kampung in Indonesia. 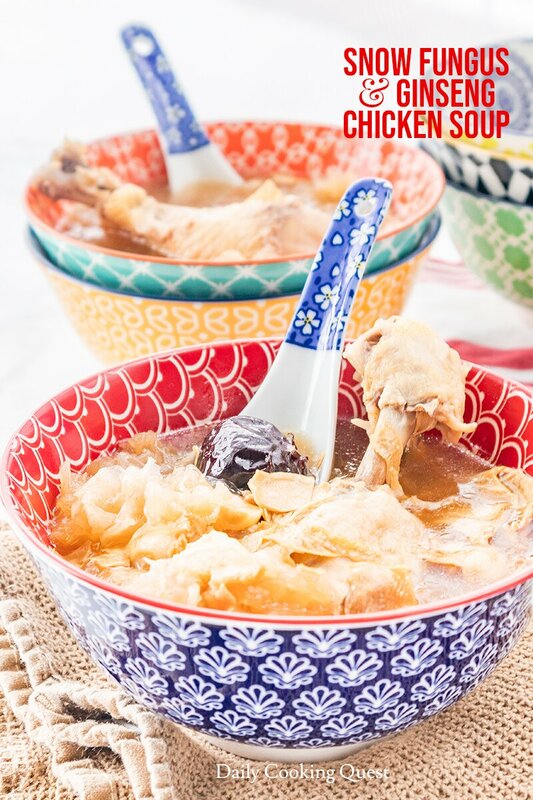 If you want even more luxurious chicken soup, you can try using black silky chicken. 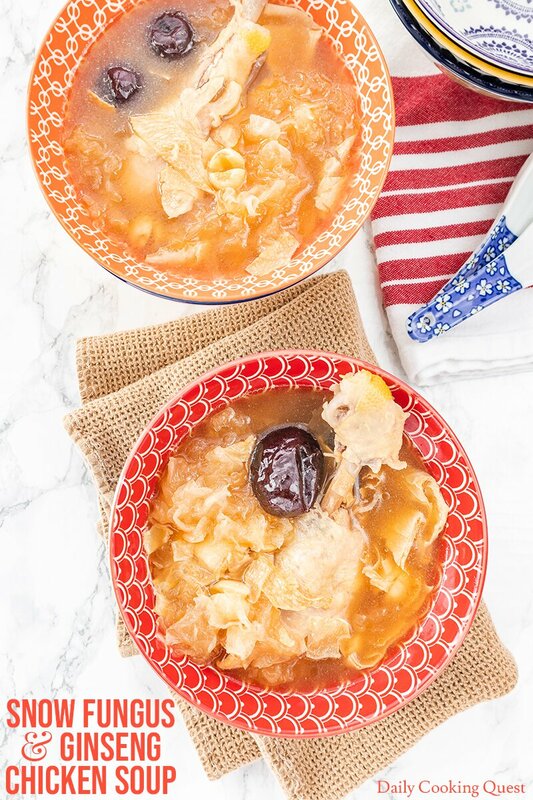 If your grocery doesn’t stock free-range chicken, you can use skin-on bone-in chicken pieces too, in which case, I suggest using about 4 regular chicken drumsticks to make the soup. Originally published on June 4, 2013. 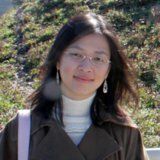 Updated on March 25, 2019 with new photos. Place all ingredients in a pot and add enough water to just cover all the ingredients. Bring to a boil. Reduce heat and simmer for 1 hour. Remove from heat and serve warm. I love red dates, I have never tried a recipe like this one before! The ingredients really complement each other, great find. I love red dates as well. :) I'm happy you love this recipe. How beautiful and intriguing! 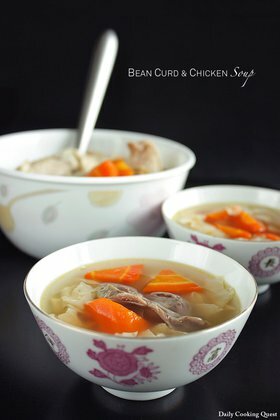 I have Chinese friends that once served us a soup similar to this - it definitely contained the fungus. We loved it, so flavorful! We have a large international grocery near us. I'll have to go exploring in their Chinese section and see if I can find all these unfamiliar ingredients! I'm not very well versed in cooking any type of Asian foods, so I appreciate your tips on choosing the ingredients. Looks great. I've never made anything with red dates, thank you for the recipe!